Well, relationships are more than that just fun. 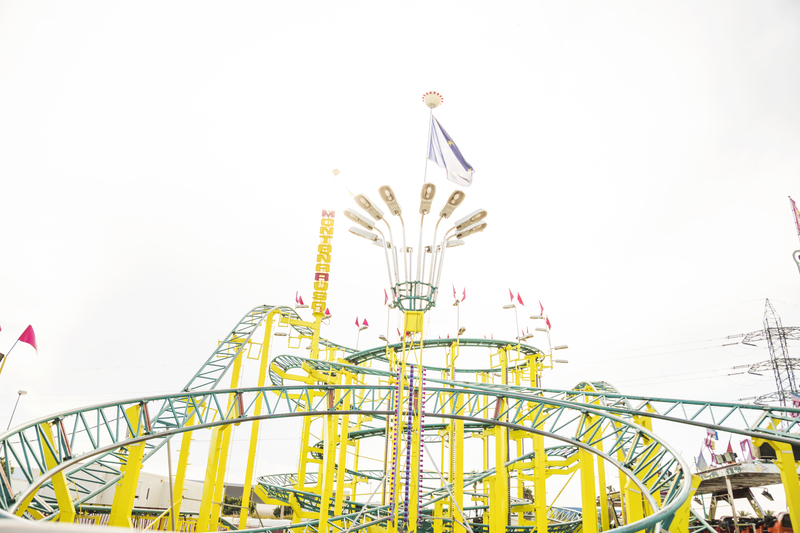 The roller coaster metaphor – we think – is a good one to explain long-term relationships. All relationships go thru ups and downs and sometimes it’s hard to go up after a down period of time. We did a fire chat with Shula Melamed about creating possibilities time ago, and one of the things she mentioned was that “relationships are work”, but we don’t have to forget that “relationships are play” too – she said. Every person has it’s own roller coaster of emotions, feelings, and situations; so imagine if you are with someone. That someone has also its own emotions, feelings, and situations. Two people together are still two people with its own world and also they share a world together with its own emotions, feelings, and situations. That’s one of the beauties and challenges of relationships though, being able to navigate thru the ups and downs and still have a great time while doing it. a couple in front of a roller coaster. Sometimes it’s incredibly beautiful and you can’t stop laughing and thinking how lucky you are. Other times you feel lost and wondering what are you doing, where your relationship is heading, asking yourself what am I feeling? Is this what I want? Like roller coasters, in the end, you can choose to take the ride again or to leave. It won’t be the same ride, there are no rides alike. If when you leave the roller coaster you didn’t have fun or had a bad time, it might be not worth it to go up again the same roller coaster. Maybe you did have fun, but for whatever reason, you don’t want to ride it again, then it might be time for a change too. There is no magic formula to be in a great relationship, but we believe some ingredients are available in great relationships (not in order): fun, trust, desire, communication, respect, and love. We are missing some! What other ingredients do you think you can find in good relationships? We talked with Gigi Engle about Living Together and with Irene Fehr about Bodyfulness. If you want to integrate fun and desire into the relationship download Desire to find more ideas (there are more than 70,000 dares in the app!). You can download Desire for FREE at Google Play and at the App Store.